Astrogeographical resonance coordinates of Uluru (Ayers Rock) for morphogenetic field level 2 (city) which describes the energetical topics and atmosphere of the whole of the mountain: the coordinate for the astrogeographical latitude degree is located in self-centered emotional water sign Cancer sign of the moon, motherhood, fertility, pregnancy, the uterus, ancestor lines, feeling at home. The coordinate for the longitude has nearly all of the mountain in highly magnetic and highly energetic fire sign Leo sign of the sun, light, heart, sexuality, power stations and emotional self-expression. 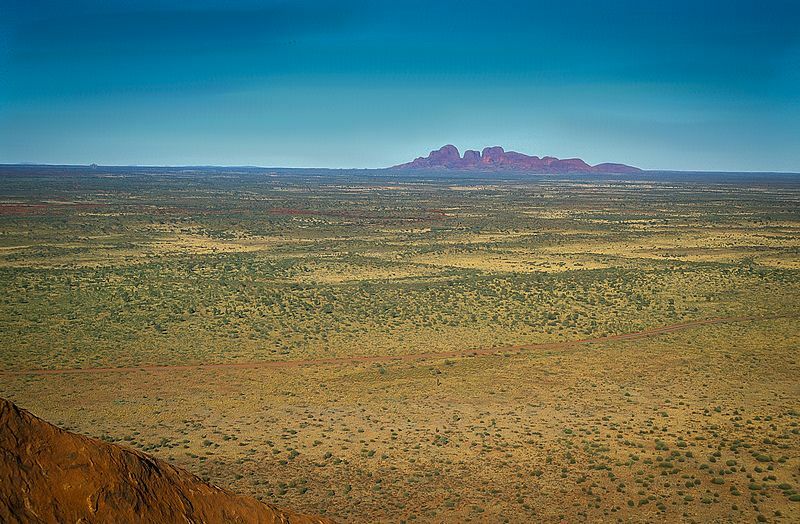 The eastern end of Uluru is located in self-protective earth sign Virgo sign of reason, health, medecine, healing, protection of nature and plants and and indicator of protected places that allows shelter for spiritual entities of the realms of mother natuire such as elves, dwarves, trolls. Because of the enormous size of Uluru morphogenetic level 2 is to be considered here. The fields measured with coordinates for the levels 3 include only parts of the whole mountain. 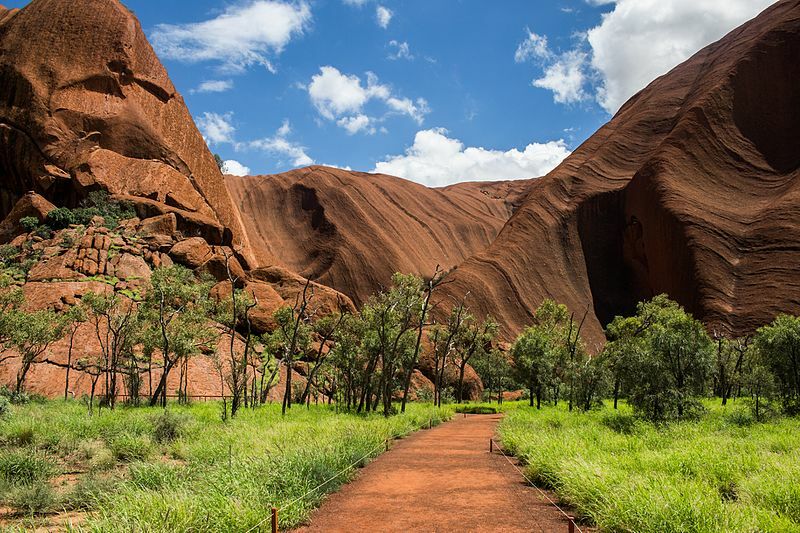 Uluru is an important resonance site of fertility and sexuality. This can be interpreted from the position in two emotional signs Cancer (sign of motherhood, conception, pregnancy, the uterus) and Leo (sexuality and birth). The Sun as the ruling planet of Leo and the Moon as the ruling planet of Cancer are the two celestial bodies with the strongest gravitational impact on life on earth.. This could explain why and in which way sites of power that resonate strongly with these two energies frequently have great charisma and physical as well as emotional impact. Among the four bodies (material, emotional, mental, spiritual) in the system of living beings both signs Cancer and Leo stand for the emotional body thus referring to inner perception, individuality, fertility, pregnancy, birth, emotional individuality and self-expression. In the case of a temple site this could mean that the spiritual aspects referred to here are not of heavenly deities (spiritual plane), projected or ideological entities (mental plane) or for materialistic topics like in temples for sowing and harvest rites (material plane like in Karnak or TianTan). 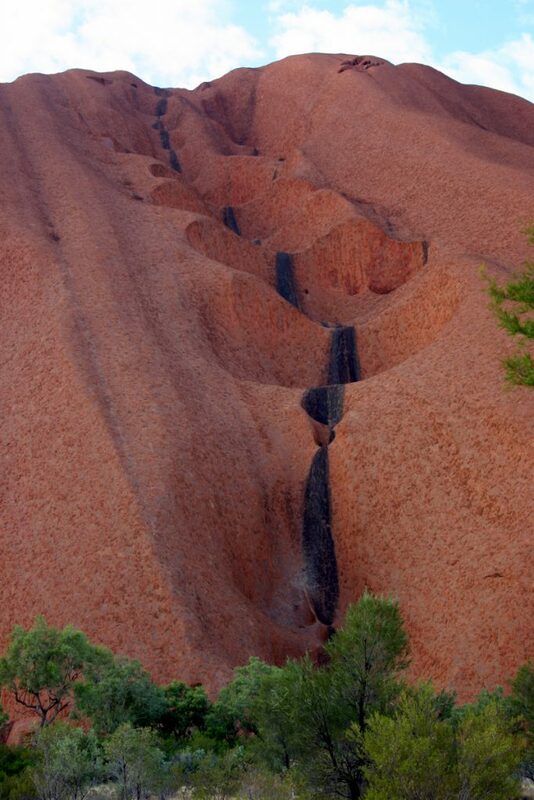 Traces of the mythological red lizard Tjati on the north-western side of Uluru. For morphogenetic field level 3 (surrounding area) this part of the mountain is located in the combination of water signs Pisces and Cancer.